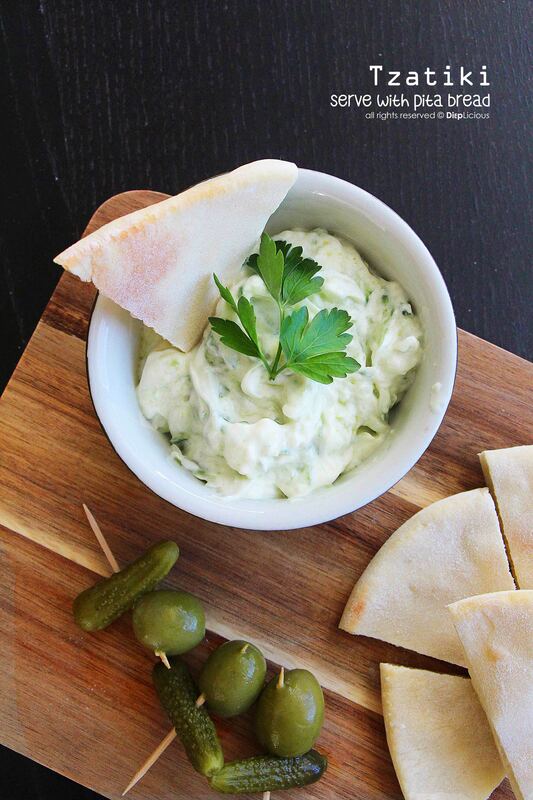 This recipe is dedicated to my good friend, Rob, who had never heard or tasted tzatziki until I made it on a group trip to a villa in the South of France. Months later, Rob requested the tasty dressing that he couldn’t pronounce. He took the tzatziki into his possession and shamelessly licked the bowl clean. In case you haven’t heard about tzatiki yourself it is a Greek dressing mainly based on strained yogurt and cucumber with garlic, it is delicious in sandwiches, with tabbouleh and pita bread or as a dip. 1. Place a cheesecloth in a strainer with a bowl underneath or you can even use a coffee filter and a funnel, and strain the yogurt by letting it sit for at least 6 hours in the refrigerator. 2. Shred the cucumber and mince the garlic. Drain by adding salt to the mixture and let it sit for 15 minutes. Squeeze as much excess liquid from the cucumber and garlic mixture as possible. 3. In a large bowl, mix all the ingredients until a thick mixture has formed and add salt to taste, as needed.